China, one of the fastest growing countries in the world, has a pro-growth tax system. 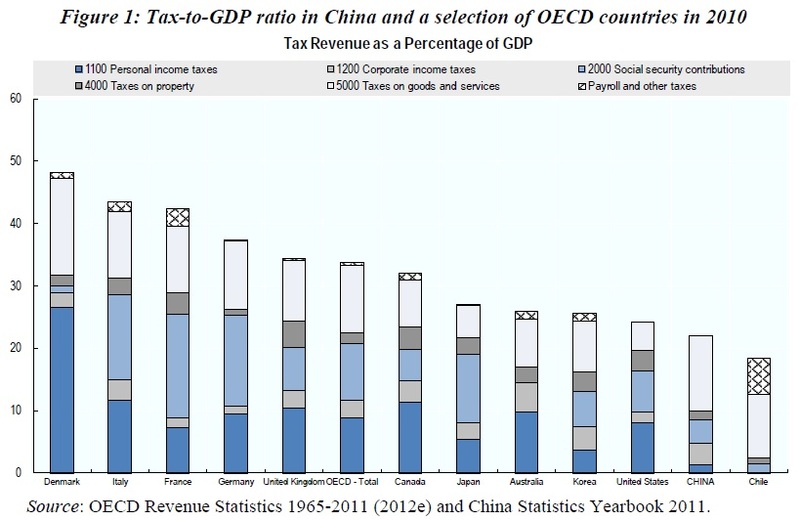 The OECD released a report this week on China’s tax system and how it compares to developed countries. Basically, China is a low tax country over-all and has particularly low taxes on capital. China has a corporate tax rate of 25 percent, compared to the U.S. rate of 39 percent. China has no capital gains tax, a dividend tax of 5 to 10 percent, and no tax on interest earned in bank accounts.